We’ve been talking for months about buying or building a hoop house or green house but they were all so complicated or expensive! Then we found the perfect solution. A free garage frame off Craigslist. A few days ago we set it up so soon we can put plastic on and have some nice fall greens and broccoli! The floor space is 20′ x 13′ so its not huge but it will still be nice. The first thing we had to do what simply slide all the major pieces together and loosely attach them with bolts. Next we placed the top brace on top of the truck. We then began to add hoops by walking them over the truck and using the truck to stand on so they could be bolted into place. We slowly moved the truck forward while balancing the frame so that we could add the front hoops (genius idea, I know). Angel monitors all the farm projects. After all the hoops were on all we had to do was the side braces. With two people it was actually really simple and easy and I would recommend these frames (they’re actually those little garage frames) to anyone looking to extend their gardening season. Which is probably all homesteaders am I right? Later it can be lifted and placed over one of our beds. 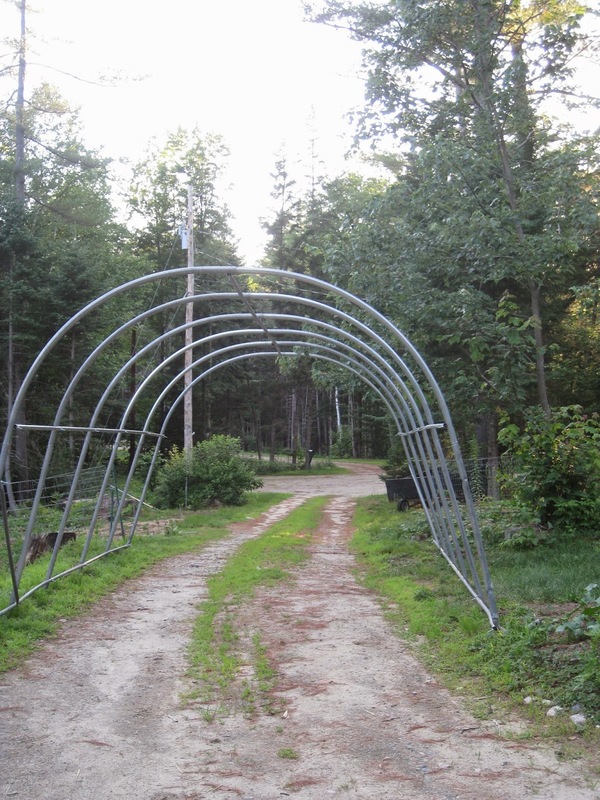 We used this hoop house with plastic for a season held on with homemade “PVC clips.” They worked well and were made simply from short sections of PVC pipe, with a slit so that you could shove them over the plastic and frame pipes. The PVC circumference was slightly larger than the frame pipes. When we moved to WV we dismantled it and tied it to the top of the truck. 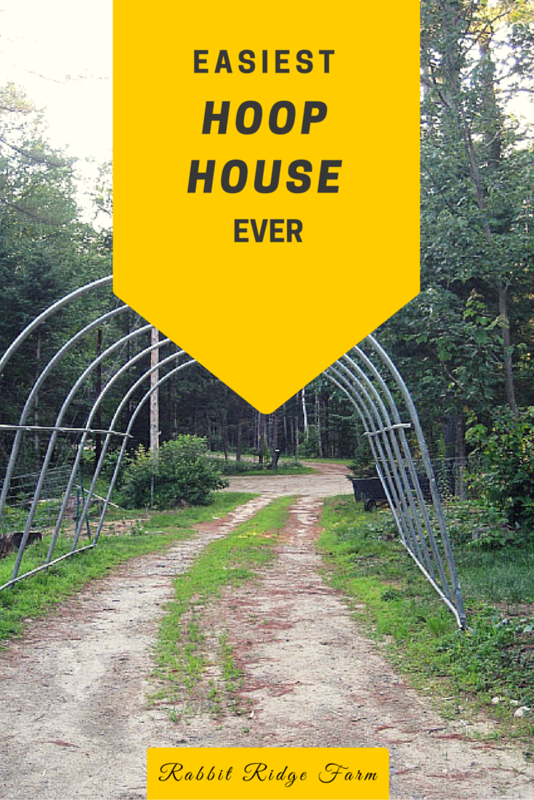 It has since served as a temporary chicken and duck house as we build our new homestead. 2 Responses to "Easiest Hoop House Ever"
really coming along nice Jordan! You and Dad sure are hard workers!